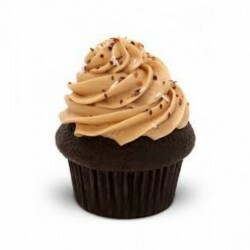 Add a zing to your celebration with our freshly-made, moist cup cakes. Opt for MyFlowerTree for rich quality and delectable taste. 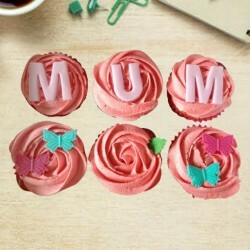 Your precious ones will never be disappointed with our high-quality cup cakes deliverance. Our ingenious flavours and magnificent designs will fit into every occasion. Do you have a sweet tooth? And often you find your sweet cravings go out-of-hand? 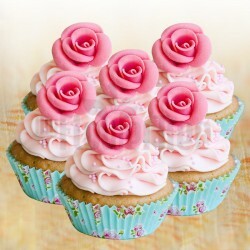 We at MyFlowerTree have a perfect fix for it - cupcakes! The topping of luscious icing over fluffy sponge- ummmm! A heavenly combination, isn't it! 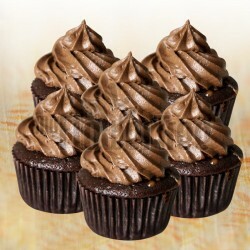 Grab your favorite cupcakes here and give your taste buds a blast of sweetness. Good news for variety lovers as well! 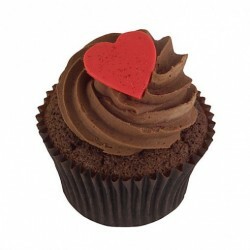 You'll find a huge variety in our online cupcakes range, so just browse through the options and you're sure to find your favorite. 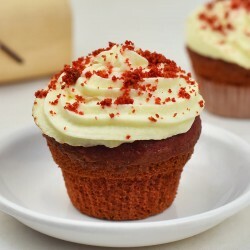 Whether you're looking for red velvet cupcakes, vanilla cupcakes or any other flavor, we have everything to please your taste buds. Wait, for there's more! 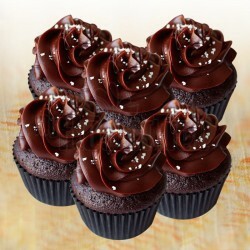 With our express delivery option, you can get your favorite cupcakes delivered to you just when you want. 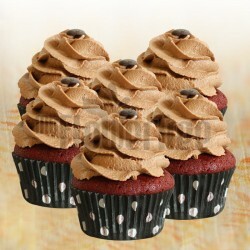 Delve into our delectable assortment of designer cupcakes, and order cupcakes online with a click of your mouse! 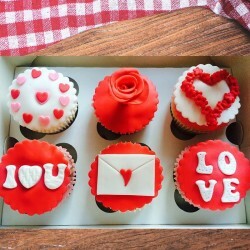 Say it with a cupcake delivery! 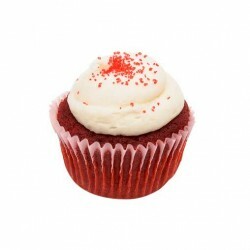 Good things come in small packages'so do our cupcakes! 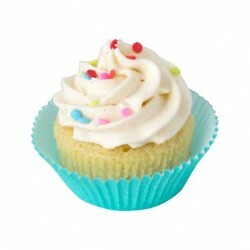 Cupcakes are tiny cakes, cute, dainty and yummy! These colorful delights are just like small versions of a cake, but are more adorable than cakes in every way. Imagine a cupcake and a slice of cake together, which one looks cuter? Obviously a cupcake! This mini version of a cake can add a bundle-load of cuteness to any occasion. However, for birthdays we prefer cakes over cupcakes, the reason being quite obvious - the joy of cutting a cake. 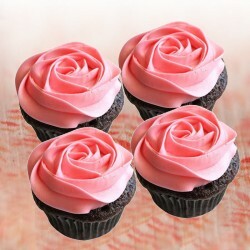 But there are innumerable occasions where you can buy cupcakes or send them as a token of love. Imagine you have your kid's birthday party, and you need to find a return gift for the kids who come to visit your home. In step the cupcakes! 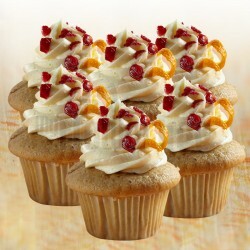 Buy cupcakes online at MyFlowerTree and give away sweet return gifts to your kid's friends. 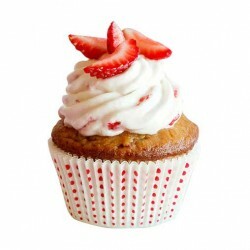 You can even order cupcakes as a dessert for home parties or just as a teatime snack. 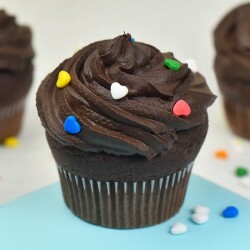 A cute little thing like a cupcake can fit into any occasion of your life. 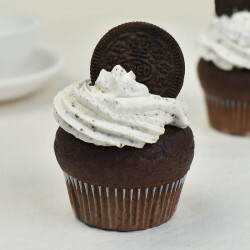 Cupcakes are like individual cakes - one can have vanilla icing, the other can have strawberry, a third may be rich with chocolate, and so on. You can buy cupcakes in all different flavors and decorations! Some can have confetti on top and the others can have sprinkles, strawberry or a design. 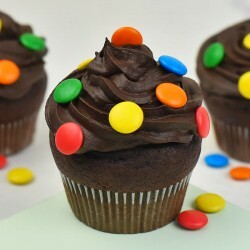 We offer an assortment of flavors and designs, so you have choices galore when it comes to cupcakes. 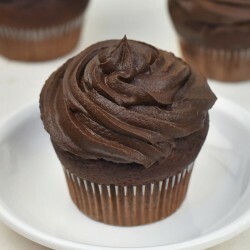 The small size of a cupcake will allow you to play with the flavors; you can choose different flavors and have them delivered to your doorstep with our same day delivery option. We specialize in creating beautiful and delicious cupcakes, anniversary cakes, birthday cakes, and cakes for all occasions of life. Our bakers go the extra mile to create exquisite designs and ingenious flavors, to offer you something new and unique. Only the finest and the freshest quality ingredients go into our cupcakes, and all cakes are baked fresh for every delivery. We also specialize in flower bouquets, plants and personalized gifts. You can order cake online in Delhi and in 407 other locations in India. 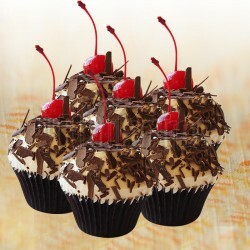 Order your favorite sweet treats online with MyFlowerTree and cherish the everyday good things in life. Products in this category have been rated 4.5 out of 5 based on 119 reviews.